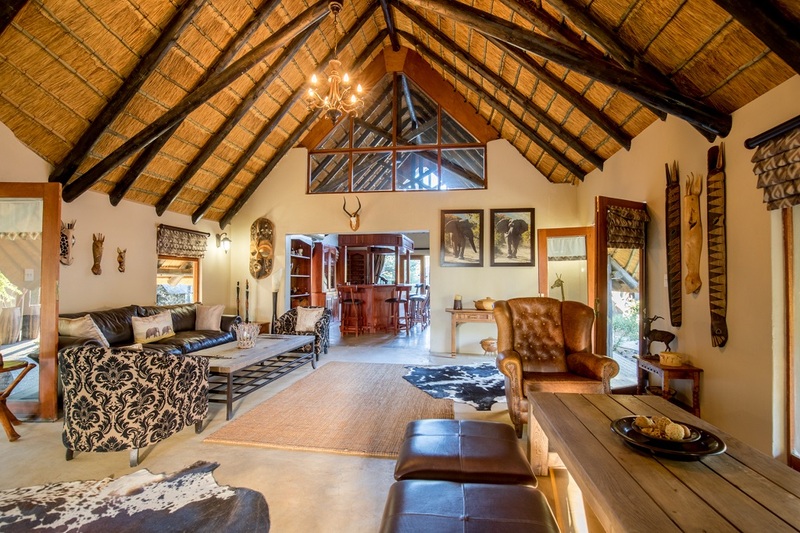 Thutlwa Safari Lodge is a luxury, exclusive-use, self-catering, lodge situated in the heart of the Black Rhino Game Reserve within the Pilanesberg National Park. 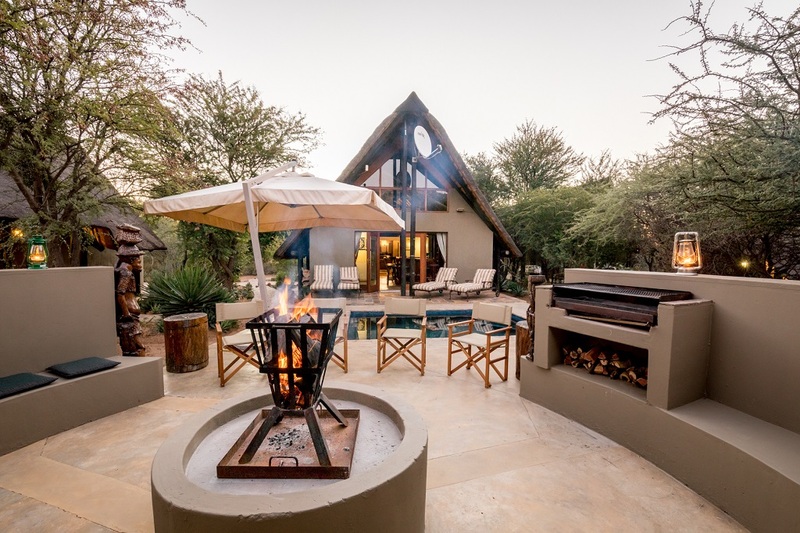 Strategically designed to accommodate a group of friends on a breakaway, or families – including those with young children – Thutlwa Safari Lodge affords its guests the opportunity to experience the magic of a South African safari – without a stiff itinerary or the restricting parameters one can expect from a publicly accessible lodge. 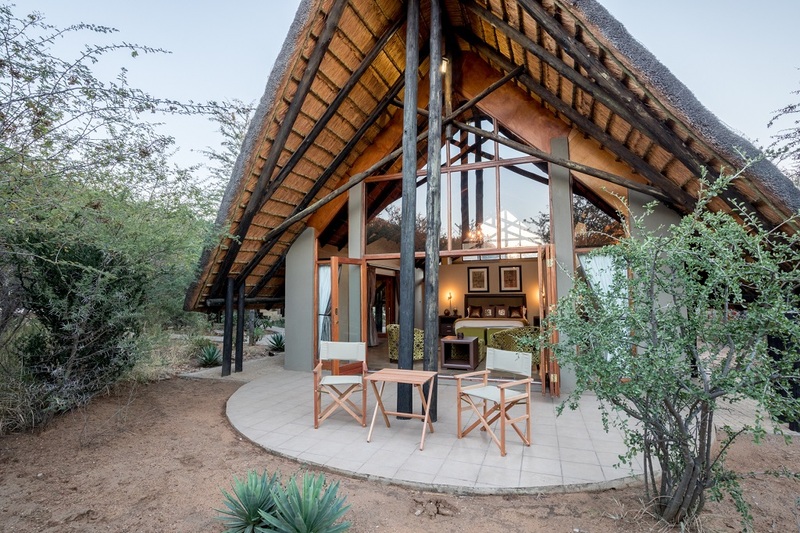 If you’re looking to enjoy some downtime in the bush, with access to Big 5 game-viewing at your leisure and on your own time, the luxurious Thutlwa Safari Lodge is the perfect space that invites an exclusive escape. 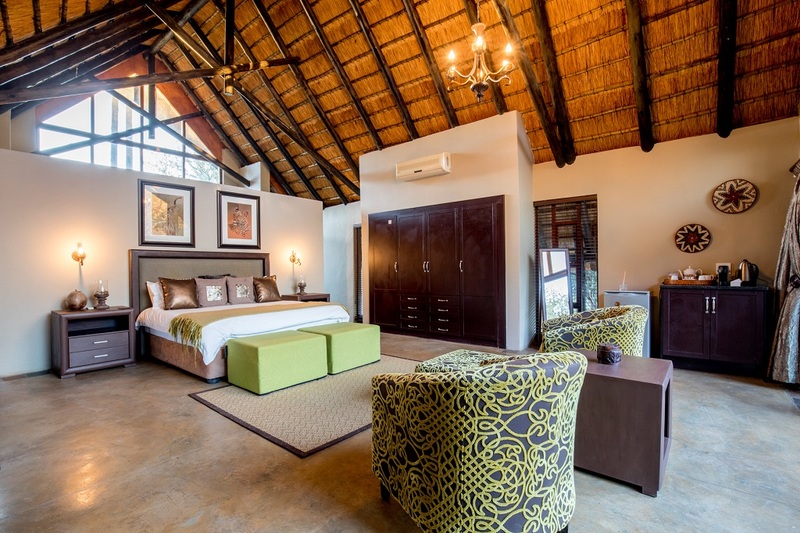 With groups and families in mind, the lodge sleeps a maximum of 8 adults in 4 standalone luxury (80m2) thatched-chalets. 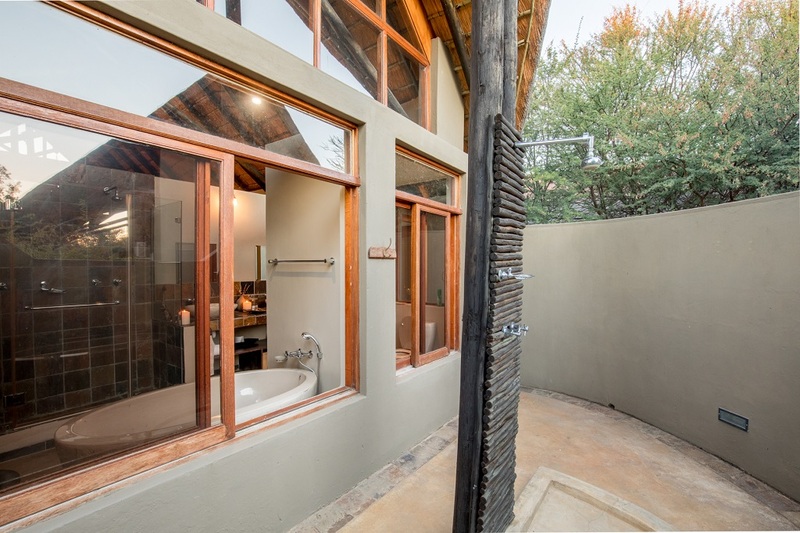 Each unit boasts a beautiful en-suite bathroom that features a double shower, a stone bath and of course for the real nature-lovers, a private outdoor shower – enjoy the sights and sounds of the bush ‘on-tap’. 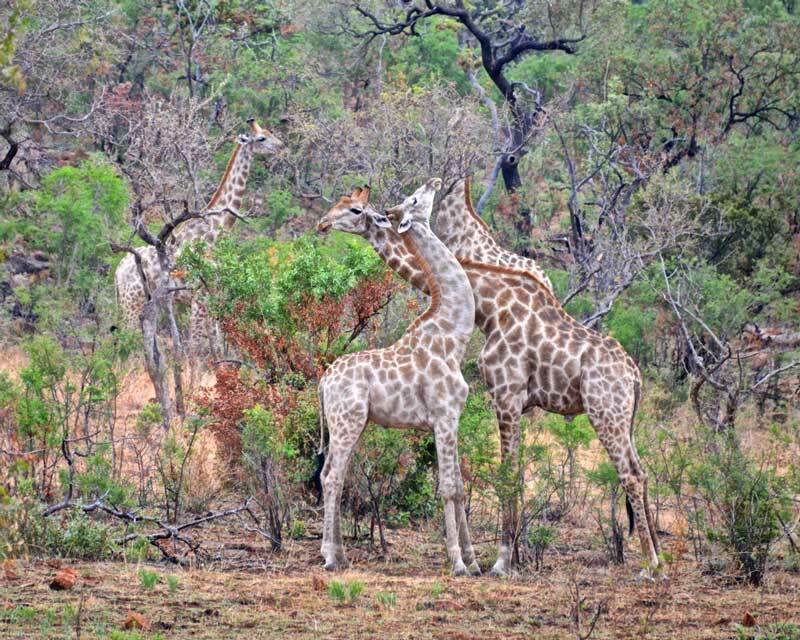 Enjoy your time in the reserve how-ever you choose! 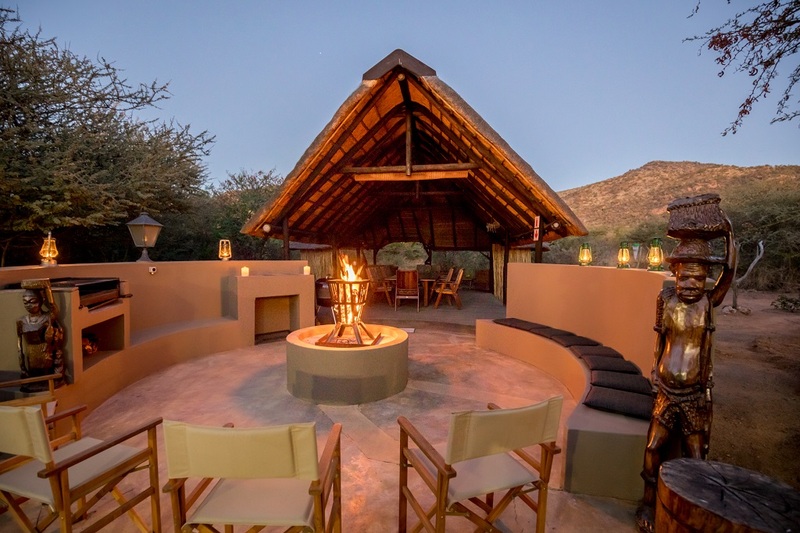 Daily game-drives can be tailored to meet the specific needs of your group, allowing you the flexibility to come and go as you see fit. 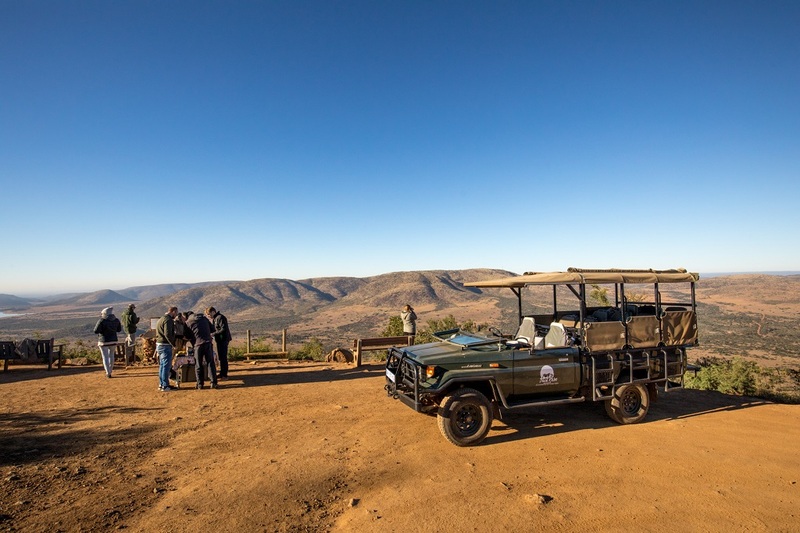 The exclusivity of the lodge means anyone in your group can join-in on a drive; age-restrictions and time-limits do not apply. 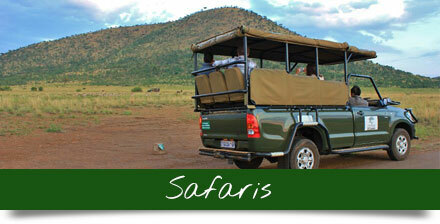 All game-drives are conducted in an open safari vehicle that is limited to 10 passengers. 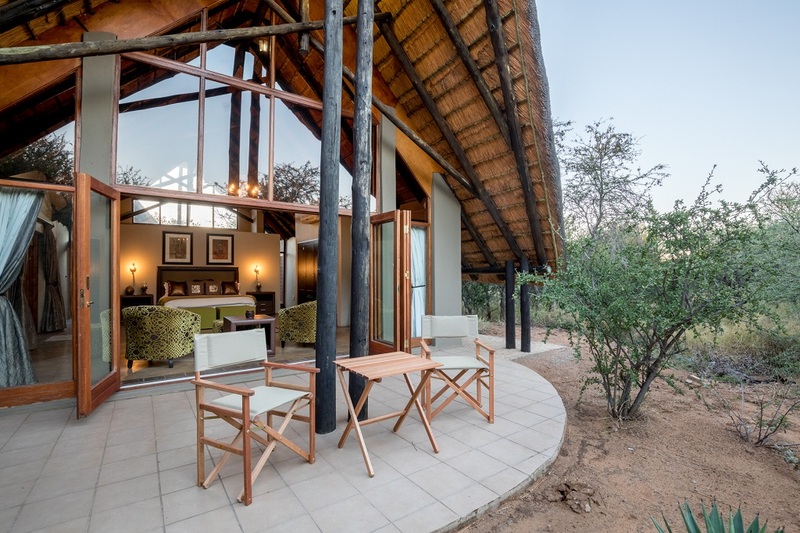 Your safari home-away-from-home, Thutlwa boasts all the creature comforts you’d expect from a luxurious bush destination. 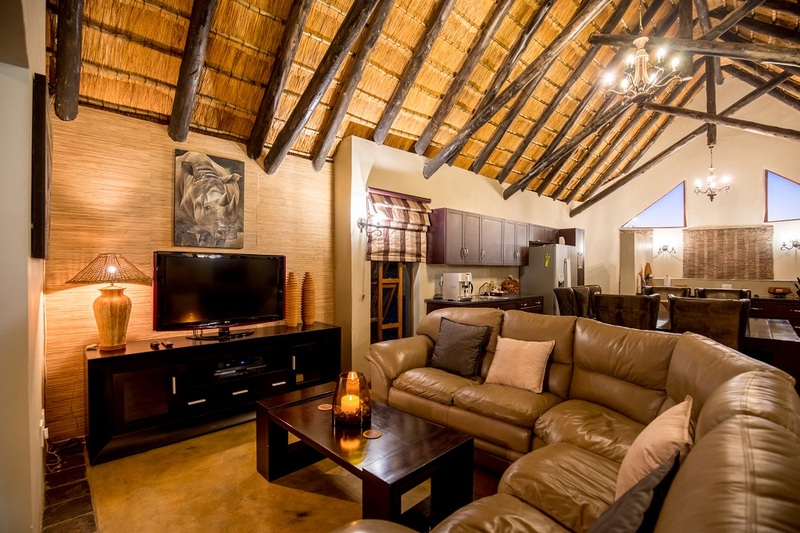 The main entertainment area consists of a fully fitted kitchen with a fridge/freezer. 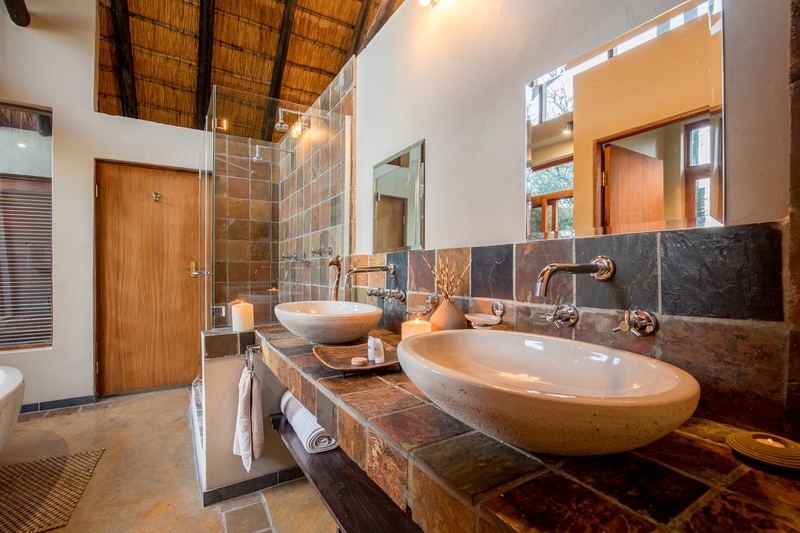 There is also an automatic coffee machine, microwave and ice maker in the kitchen area. 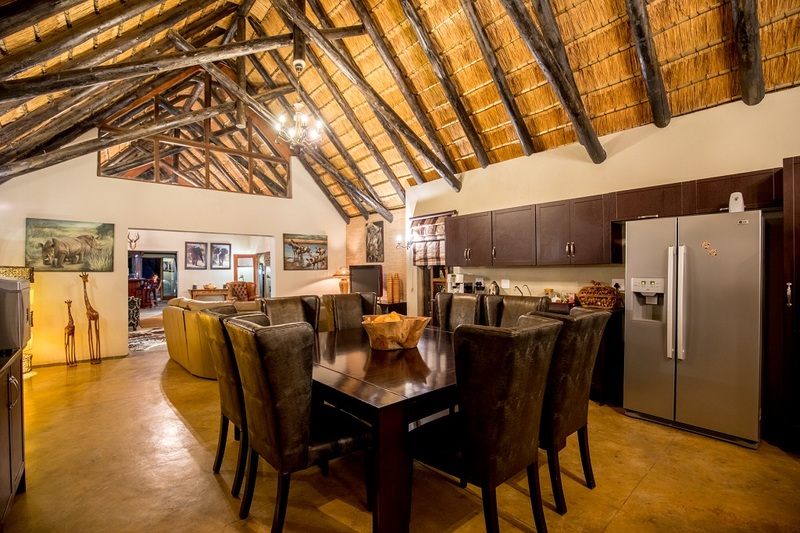 An 8-seater dining room table is at the heart of the dining area while the casual lounge serves as the perfect place to catch the game or tune out to Teletubbies on a flat-screen TV. 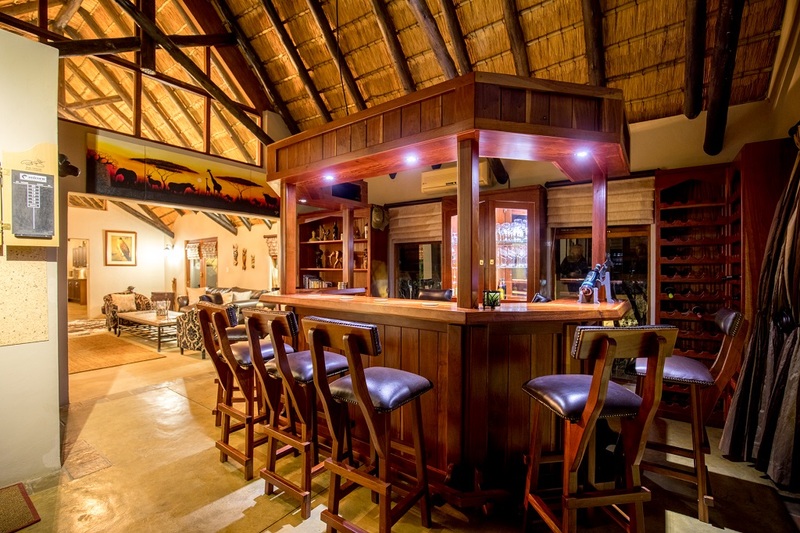 The formal lounge is the ideal spot for guests to read and relax, or they can head to the bar area for a few drinks. 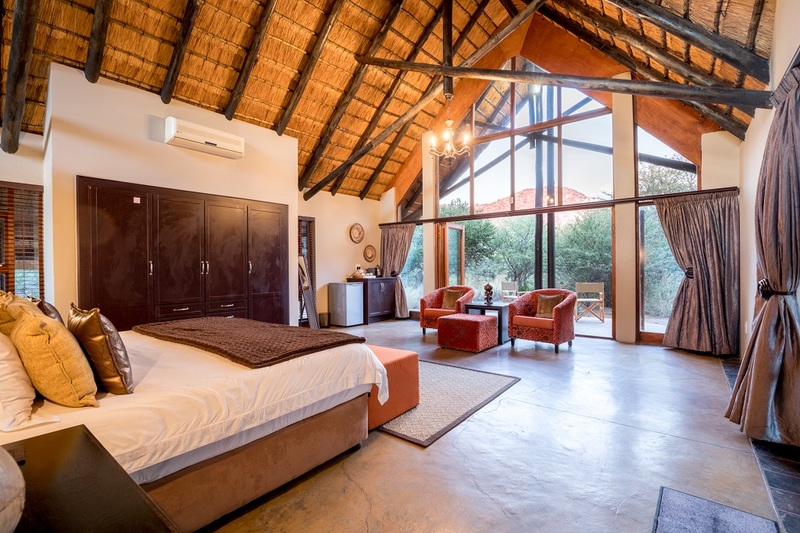 Wine and beverage fridges are available for guests to utilise on a self-stock basis. 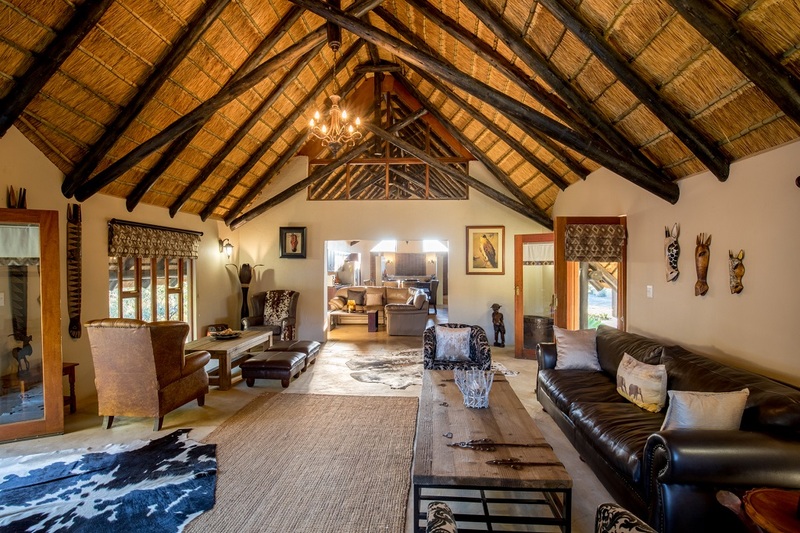 Make use of the board game library for some evening entertainment, whilst the children play with the toys available at the lodge. 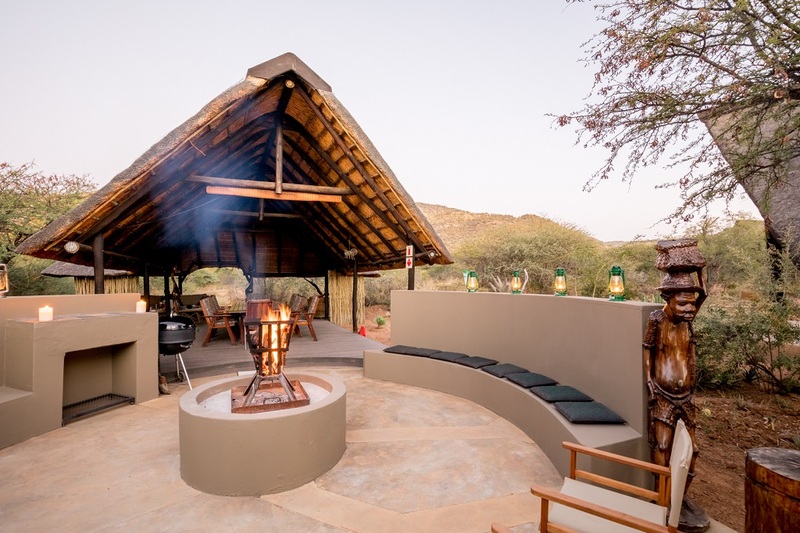 The boma/braai area joins onto the large thatched outside lapa, that offers casual seating and a large dining -table for those evenings you want to dine alfresco. 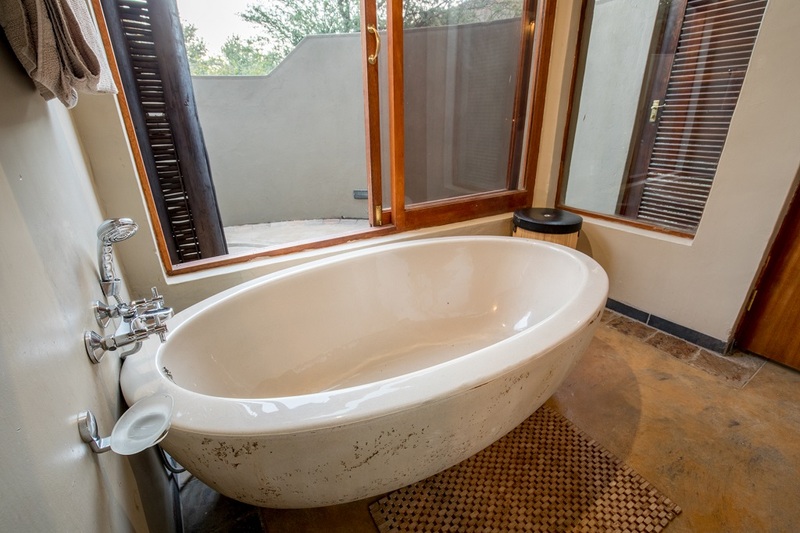 Take a refreshing dip in the plunge pool post game-drive or dip your feet in while watching the sunset over the surrounding bush. 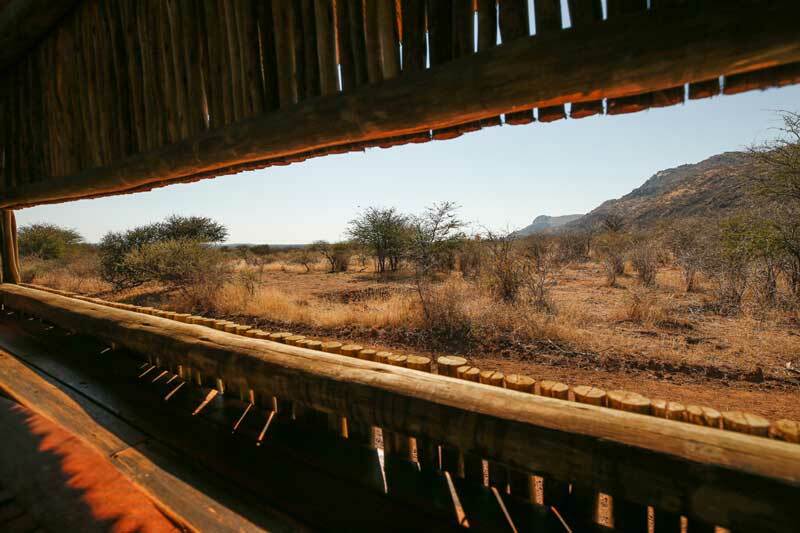 The Lodge’s perimeter is secured by an electrified fence, keeping guests safe from the Big 5, but close enough to enjoy any passers-by spotted in the area. 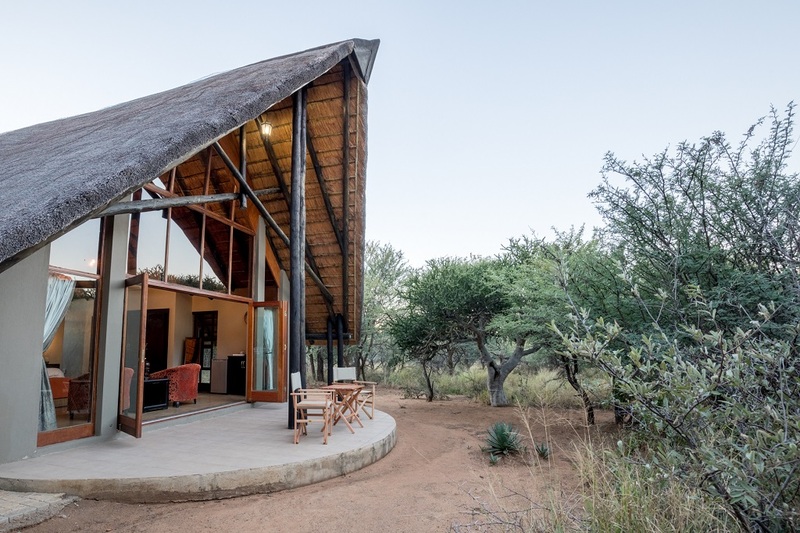 Take a stroll to the thatched hide that’s in walking distance from the lodge and soak up the peace and quiet that comes hand-in-hand with observing the wonderful animals found in the reserve. 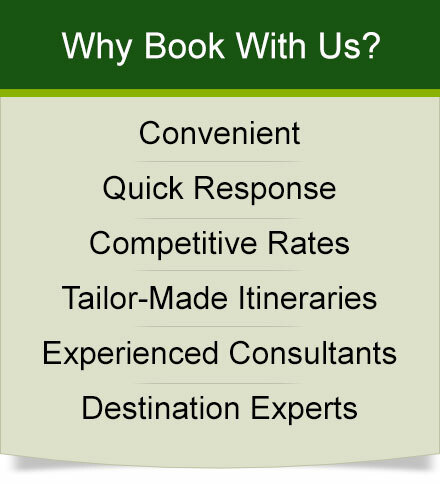 There is cell-phone coverage at the lodge, as well as complimentary WiFi. 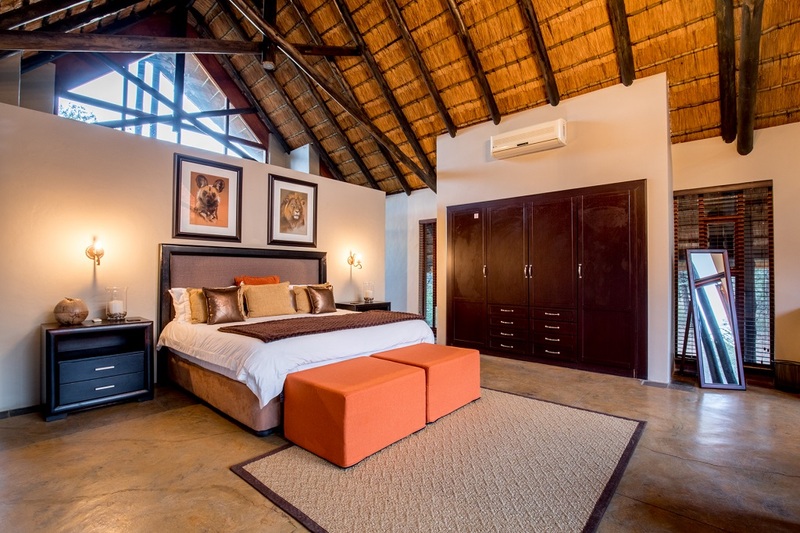 Thutlwa Safari Lodge is situated in the Black Rhino Game Reserve within the Pilanesberg National Park. 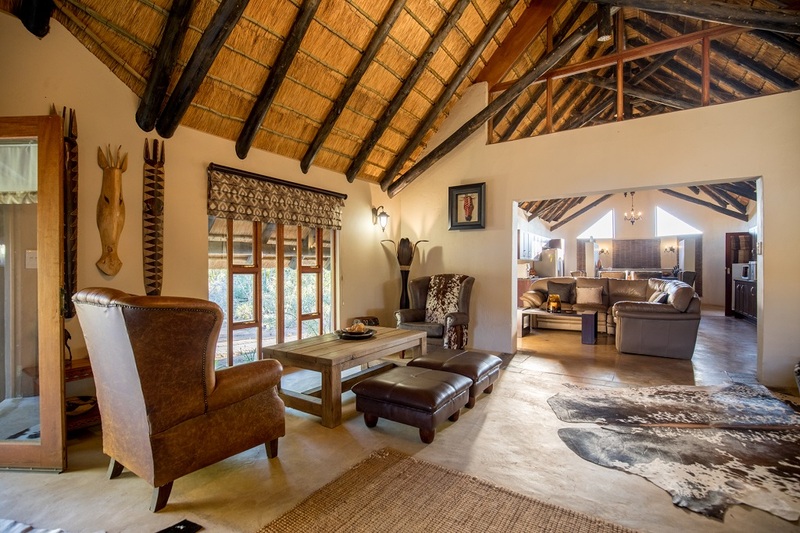 This secluded north-western part of the park offers exclusive use to the lodges located within its parameters. 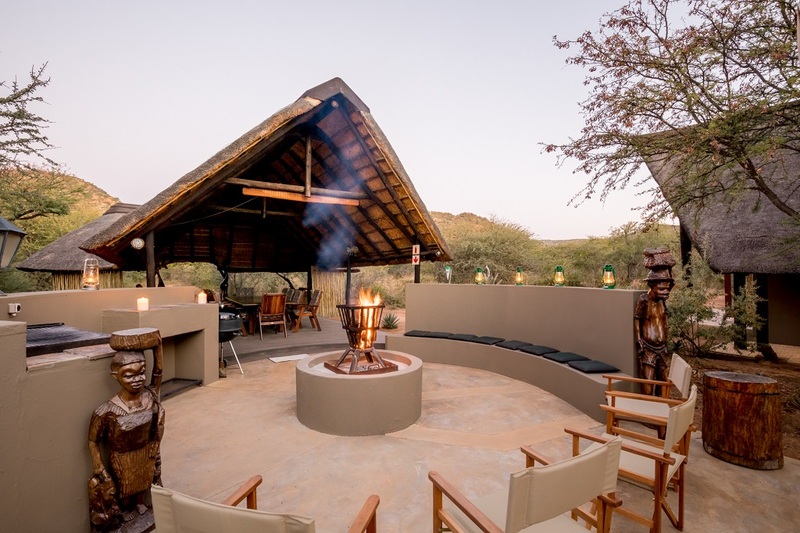 Guests are immersed in beautiful surroundings made up of mostly sweet veld vegetation and a number of incredible Tamboti trees; a special space that often hides the endangered black rhino. 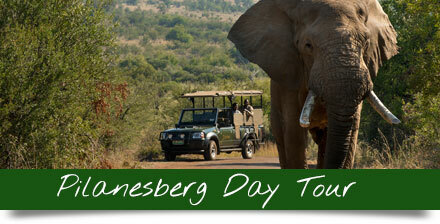 Head towards Sun City. 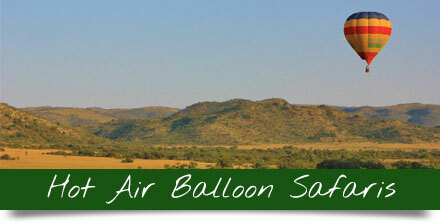 Stay on the R556 and pass the entrance to Sun City on the right. Continue for 5.11 km to the STOP sign, turn right at the intersection (into the R565). 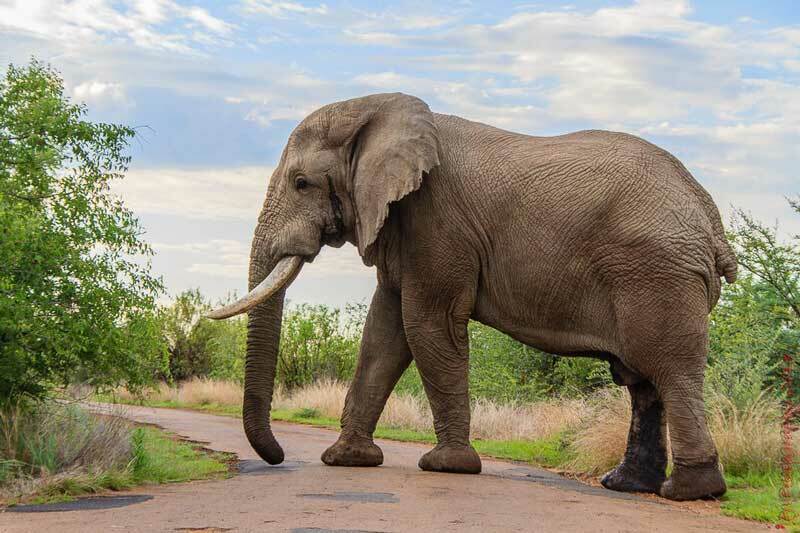 Continue this road for approximately 27 km through a village until you see the Black Rhino Game Reserve entrance on the right. 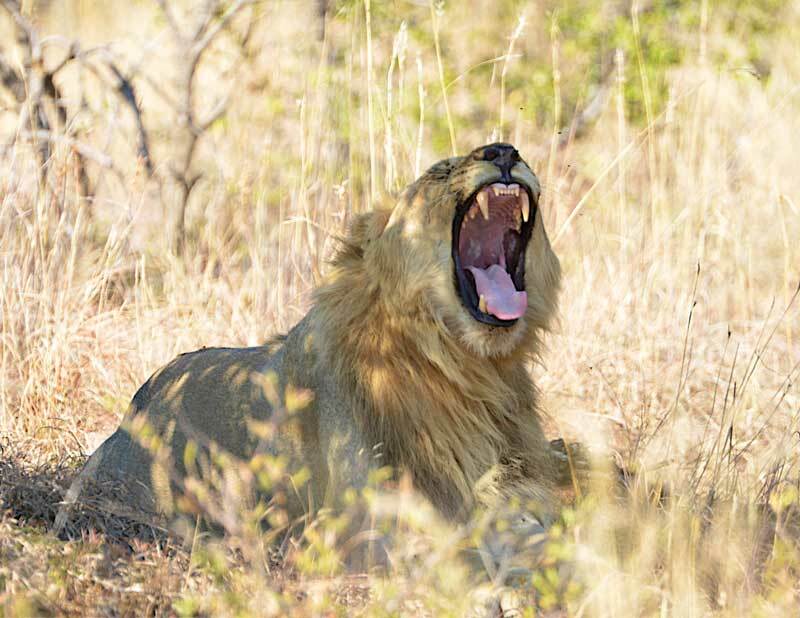 Sign in at the gate, normal sedan cars should be able to reach Thutlwa Safari Lodge without a problem.